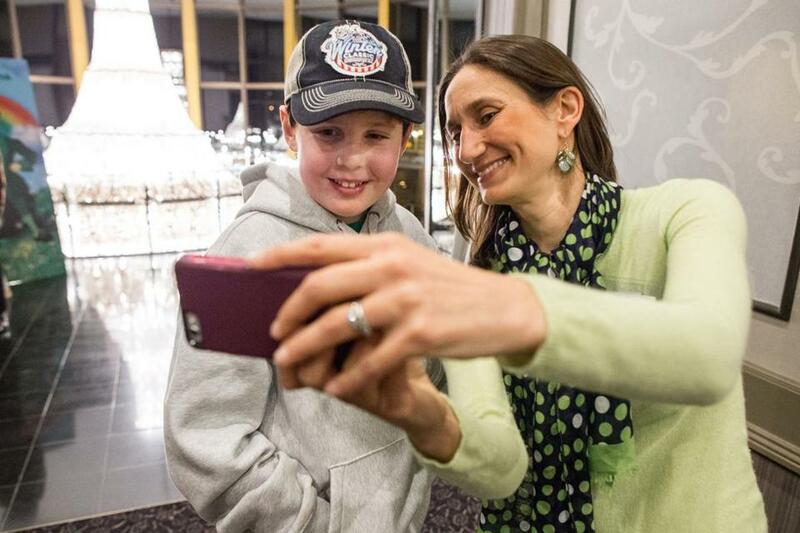 Will Lacey (left) took a selfie with Dr. Giselle Sholler during the 2015 "Cure Me I'm Irish" fund-raiser for BeatNB, held at Lombardo's in Randolph. 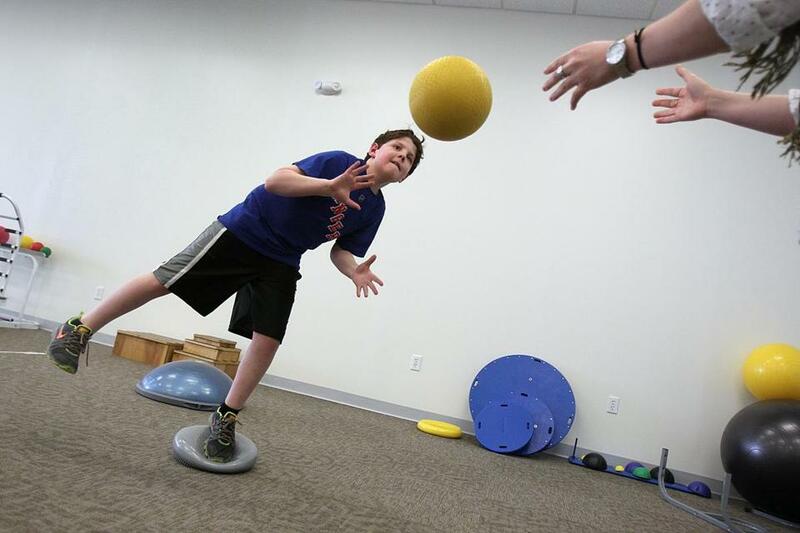 Will Lacey takes a break during physical therapy in 2015, as he continued his recovery from a brain bleed. 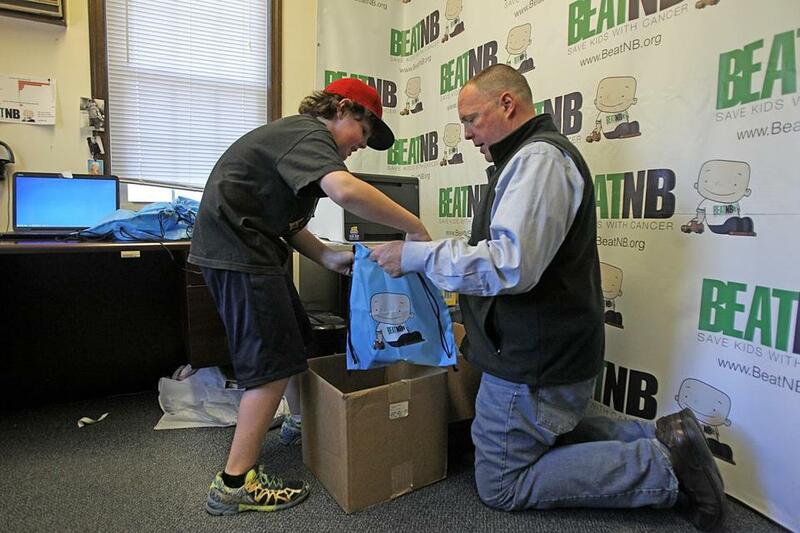 Will Lacey and his father, Patrick, work in the BeatNB offices in advance of a board meeting in 2015. Will Lacey working with a physical therapist. 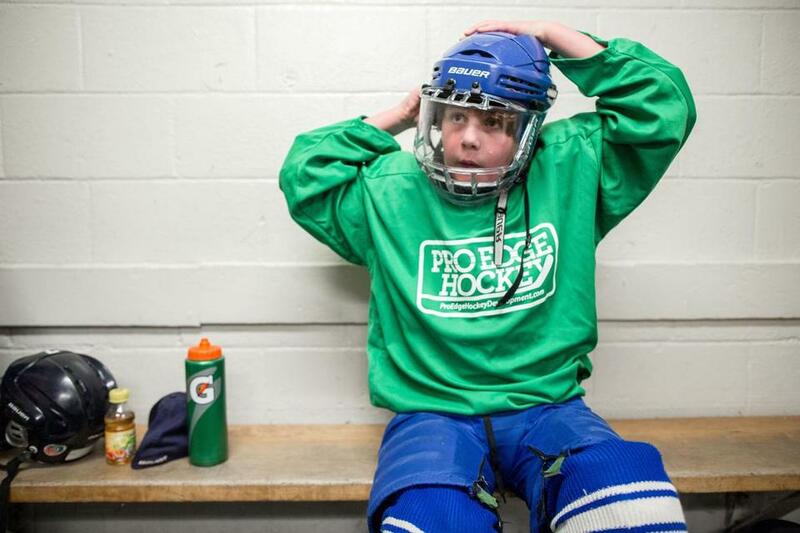 Will puts on a helmet before skating at Pilgrim Skating Arena in Hingham. 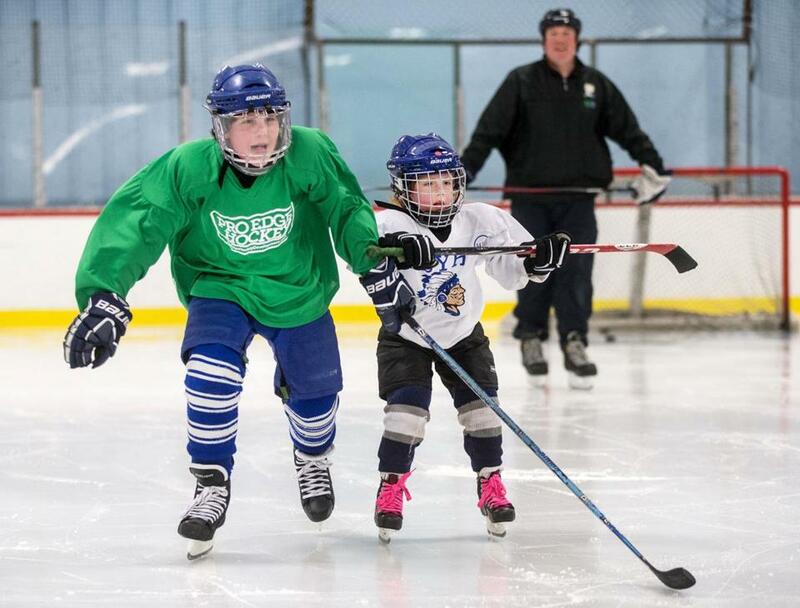 Will Lacey, his sister Catherine, now 7, and his father, Pat, skate at Pilgrim Skating Arena in Hingham. 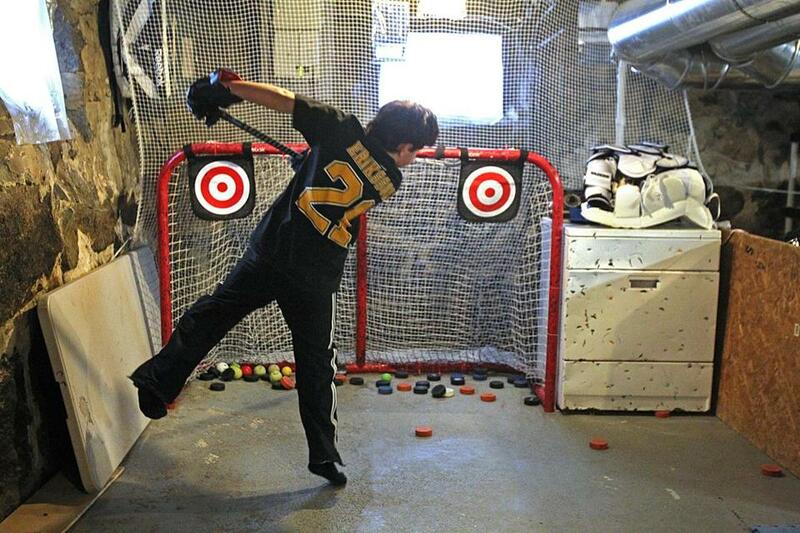 Will Lacey spends hours shooting pucks in his basement. An old dryer next to the net is covered with puck marks. 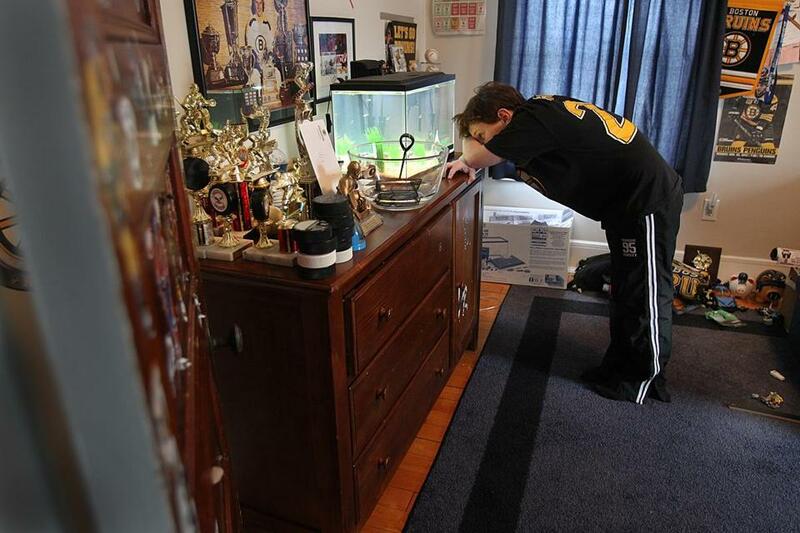 Will checked on the well-being of a new fish in his Braintree bedroom. 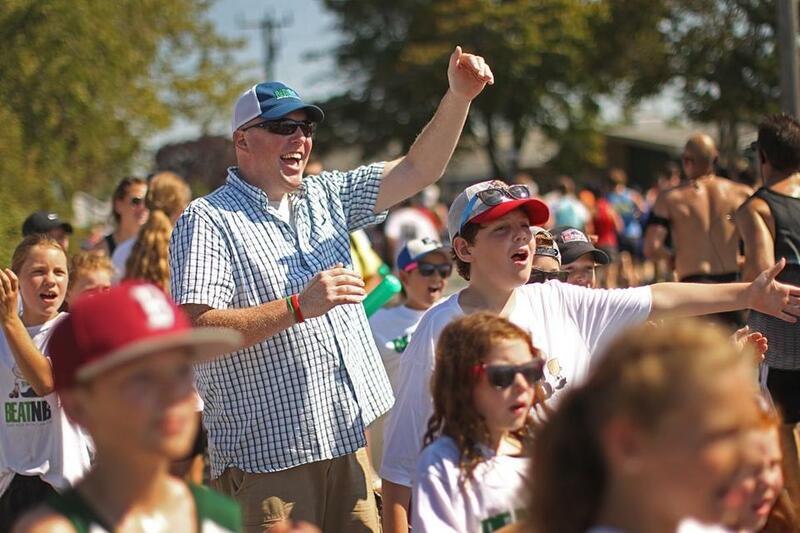 Pat and Will cheered on the BeatNB charity runners who were participating in the Falmouth Road Race. 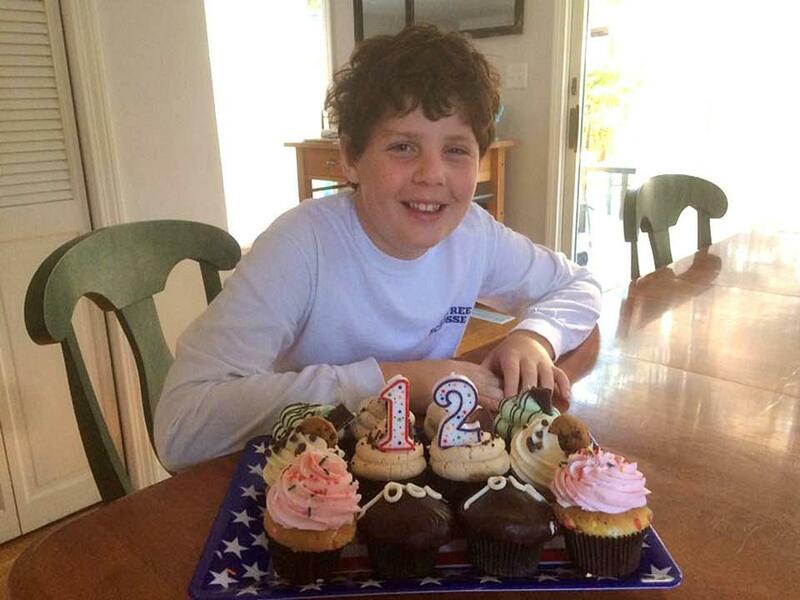 Another birthday on Cape Cod, this time with a dozen cupcakes. 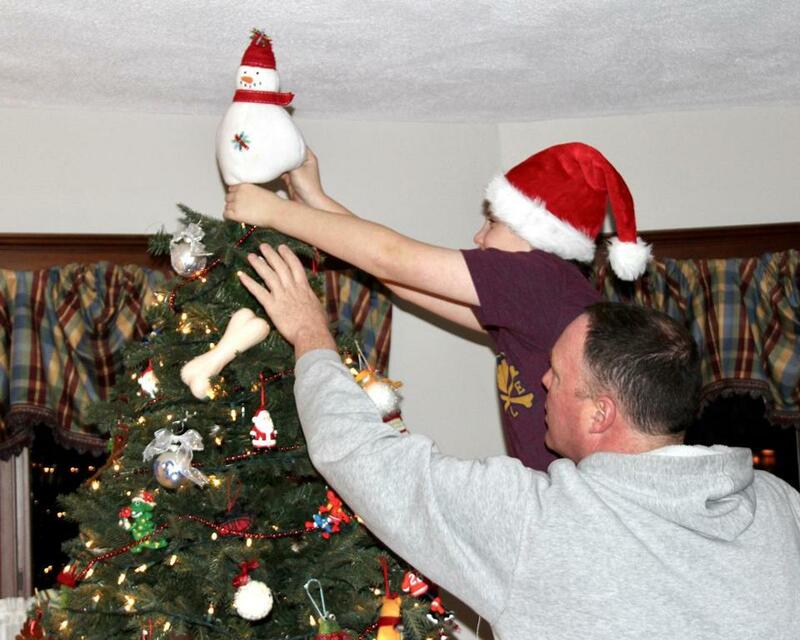 Will topping the Lacey tree before Christmas this year.